We are huge fans of the Mr Men and Little Miss books by Roger Hargreaves in this house, I think I was more excited than the kids when I got the chance to review Mr Men The Christmas Tree last year. 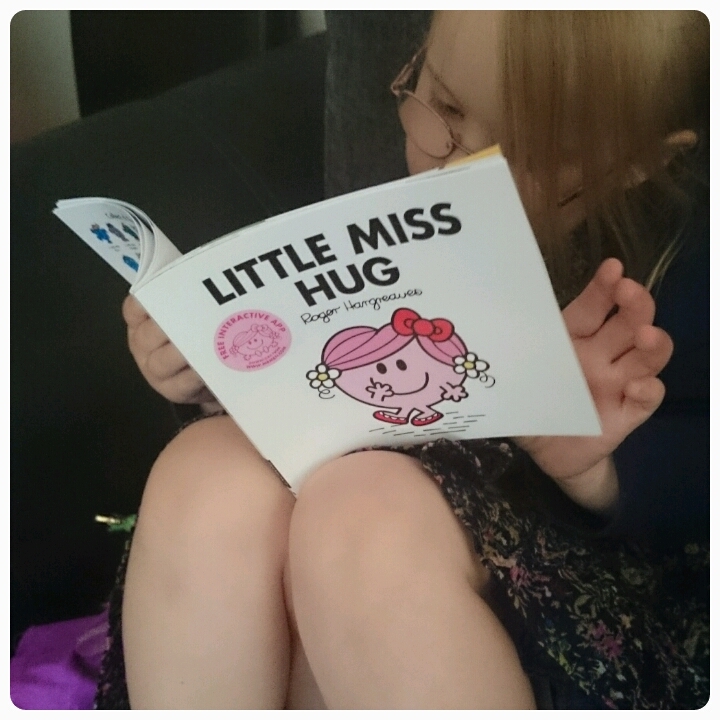 So you can imagine what I was like when I got a surprise book in the post….. Little Miss Hug. Can you believe that this is the 35th Little Miss book in the collection and I think it has become one of my favourites because I do love a good cuddle. With her cheeky smile and pretty pink bow in her hair, she is an instantly loveable character. Gracie was the first to pick the book up to have a read, well she can't read just yet but she did enjoy looking at the pictures. The story itself is the perfect length, great for a bed time story or just for an afternoon read. We find out that Little Miss Hug is indeed an expert hugger, she is that good at what she does best that she even manages to make Mr Grumpy feel something other than Grumpy and in the end even Mr Grumpy manages to dish out a hug. Proving my point that everyone loves a good cuddle!!! I think the message that comes out of this book is that you don't need a reason to share a good hug with friends or family, sometimes it is nice to give someone a hug just because it is a nice thing to do. Priced at £2.99, this new addition to the Little Miss family is available to buy now at all good retailers including Amazon and Egmont and is definitely one you should add to your collection. If you and your children like Little Miss Hug as much as we do, here is your chance to get a little creative. 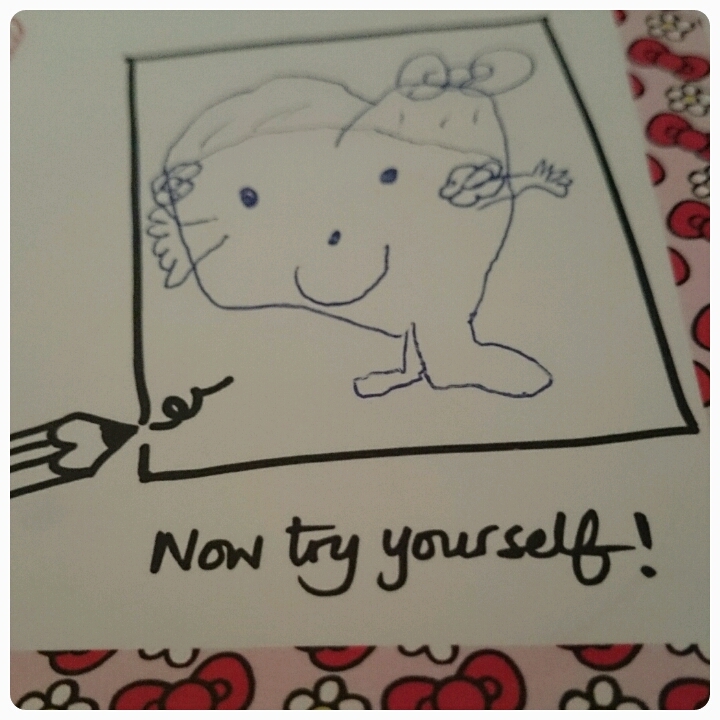 Why not get artistic and have a go at drawing her yourself. You can see my 6 year old daughter Freya's attempt to the right and below is an activity sheet which you can print out for your little ones. 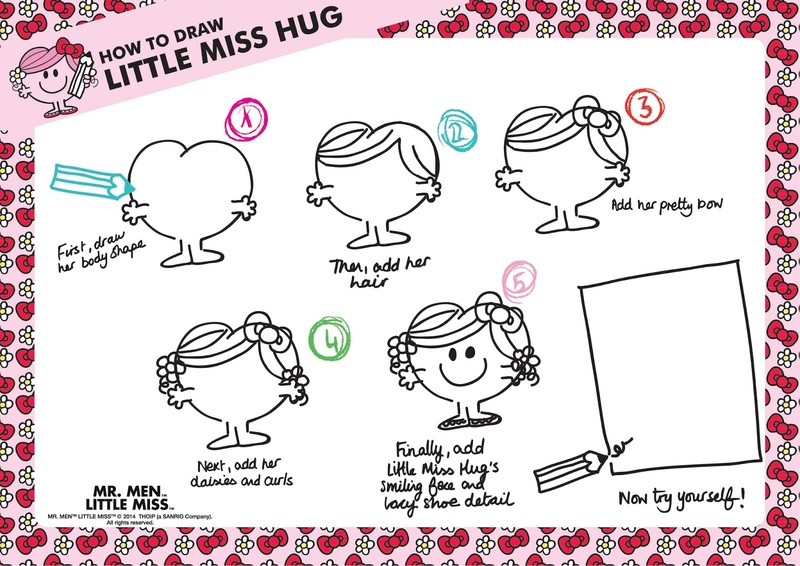 It gives you a step by step guide on how to draw little Miss Hug, with a space to try drawing her yourself. And while you have your pencil out, why not try and create a Little Miss character of your own, what would you call her?? Disclaimer : I was sent the book free of charge for reviewing purposes however all thoughts and opinions are my own. 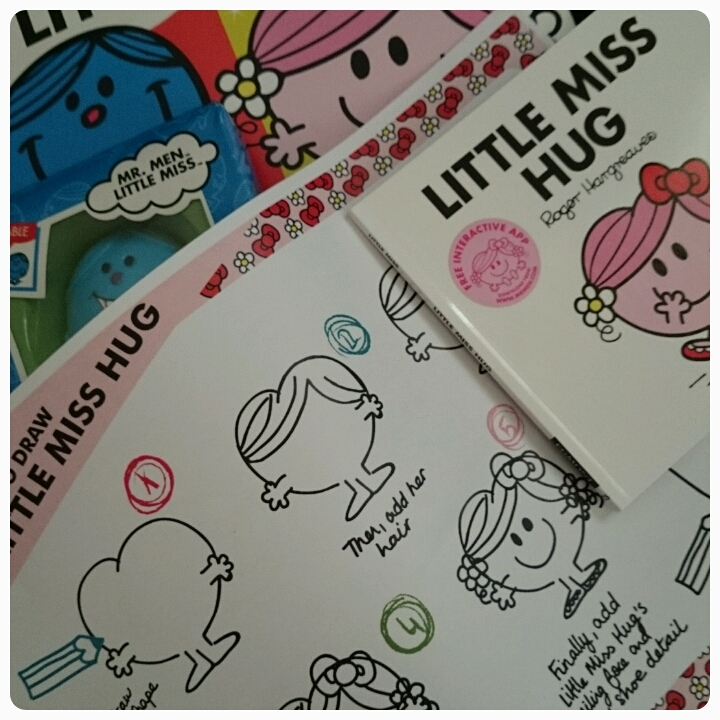 Will look out for Little Miss Hug and thank you for the free printable. 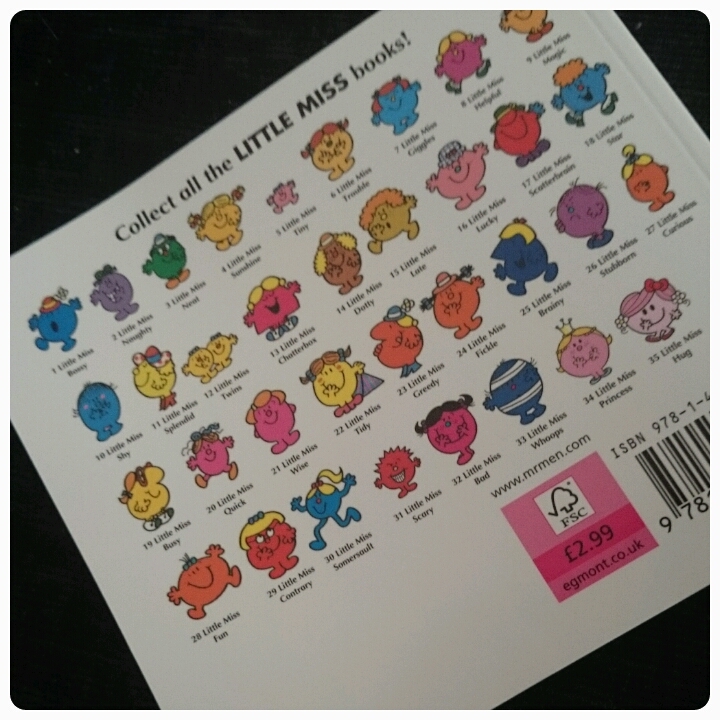 We love the little miss and mr men books and have been building up Emmys collection.